Police said they provided internet connectivity, downloaded the window sharing application and shared the password with the candidates appearing for the exam. SSC Paper Leak: The four accused were arrested by the crime branch in the national capital. 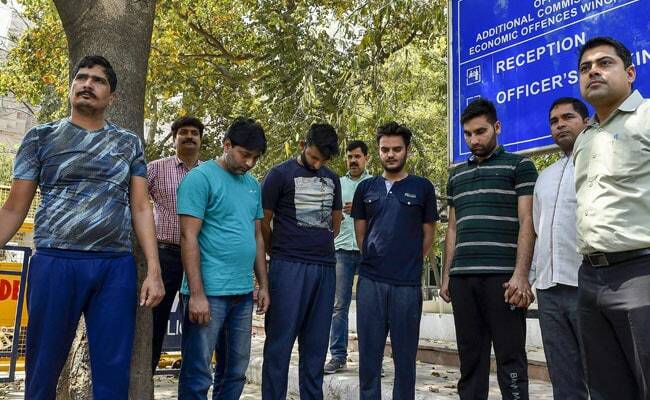 New Delhi: After four people were held for their alleged involvement in the SSC cheating racket last week, the Delhi Police crime branch have arrested four more people in a crackdown. The accused - Anup Rao, Neeraj, Kushal Negi and Dured Ali allegedly used a remote access software tool called Team Viewer for the crime. Police said they provided internet connectivity, downloaded the window sharing application and shared the password with the candidates appearing for the exam. The gang also arranged for two examinations centres in Patparganj and Badarpur, one of which is allegedly owned by the third accused - Dured Ali. Last week, a joint team of Uttar Pradesh STF and Delhi Police busted the cheating racket in Timarpur leading four arrests. The case was then transferred to the crime branch from the north district police. Three laptops, 10 mobile phones, an external hard disk, a white colour tender router, four pen drives, a wi-fi device, five blue tooth devices were seized from the spot, according to the police.